When a client asks you to show examples of your work, what do you do? Do you send them a link to your Dribbble or Behance profile, a platform where clients can browse to find other designers to award the job? Or do you send them a bunch of images attached to an email like an amateur? Ask yourself, is that a professional way to present your work? Graphic design is an art form that involves both skill and creativity. And the way you showcase your work to your clients will say a lot about how you work and how professional you really are. If you want to be a professional, you need to start acting like a professional. That process begins with your portfolio. Having your own design portfolio will make a big difference when convincing your clients of your skills and professionalism. If you’re planning on creating a design portfolio to showcase your work, there are some features that you must include on your website. Keep reading to find out what they are. You don’t need to be a world-renowned graphic designer like Paul Rand or David Carson to have your own portfolio website. You should have your own portfolio website from the day you start your career. In fact, according to a study, 56% of hiring managers find job applications that include a personal website to be more attractive than the job applications without a website. That’s not all. You can also use your portfolio website as a tool to promote yourself and build a brand to create your own identity. To allow people to discover your work, get recognition, and much more. WordPress is the world’s most popular content management system which is being used to power over 28% of all websites on the web. The software is also extremely easy to use and even a complete beginner with no experience can use WordPress to setup a website within minutes. Although, the most attractive feature of WordPress is its price. The software itself is free to download and use however you like. And it only cost less than $100 to buy hosting, a professional theme, and a domain name to build the website. 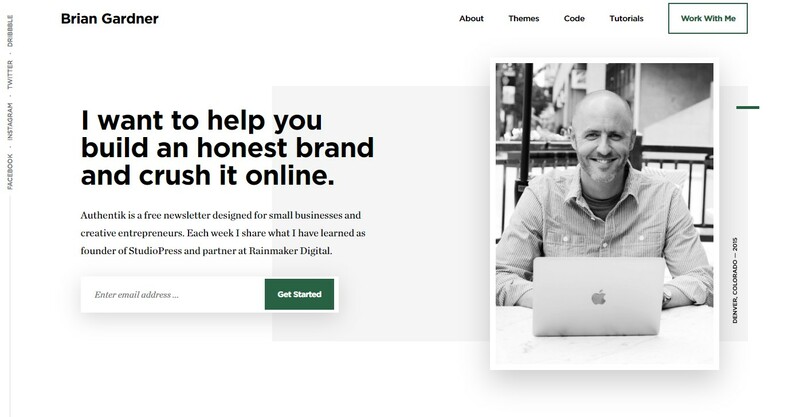 Designers such as Brian Gardner and even design agencies like SocioDesign and AHA Design use WordPress to power their official portfolio websites. Here are a few tips on creating a great portfolio website to showcase your graphic design work. A portfolio is a place where you showcase your best work. It’s not a place to list all your projects, but only the best. It’s a place your client will use to judge your skills and abilities. Which means you need to be very careful when showing off your projects. Choose your portfolio items carefully. Pick only the best of your projects that describe your style and skills. A minimalist design is also the key to showing off professionalism. Instead of including lengthy descriptions, images, and links, minimize your portfolio design to include brief descriptions that perfectly summarize each of your projects. Finding a WordPress theme with a great portfolio design will make all that work much easier for you. A great thing about building a website with WordPress is it allows you to add more to your website with WordPress plugins to extend the functionality of your website. This means no matter which theme you chose for your website, you can still add your own stylish image galleries and slideshows using slider plugins. Of course, if you pick the right theme, you won’t have to install additional plugins for galleries and sliders because there are many professional themes that come with pre-installed slider plugins. Streamlining your workflow on your portfolio website is another great way to grab a client’s attention and stand out from the crowd. Showing people how you work will immediately build trust and confidence in your work. There’s no better way to tell someone how confident and professional you are of your work than showing them how you work. Use a section on your website to take your potential clients through your design process from prototyping to mockups. Explain how you tackle and manage each project to deliver the best results. Portfolios aren’t just about showing your skills it’s also about proving your worth. This means you also need to show proof of your past clients to convince your new clients that you are just as good as you claim to be. Include your best client testimonials on your website as a doorway to the history of your previous work and what kind of client’s you’ve worked with before. 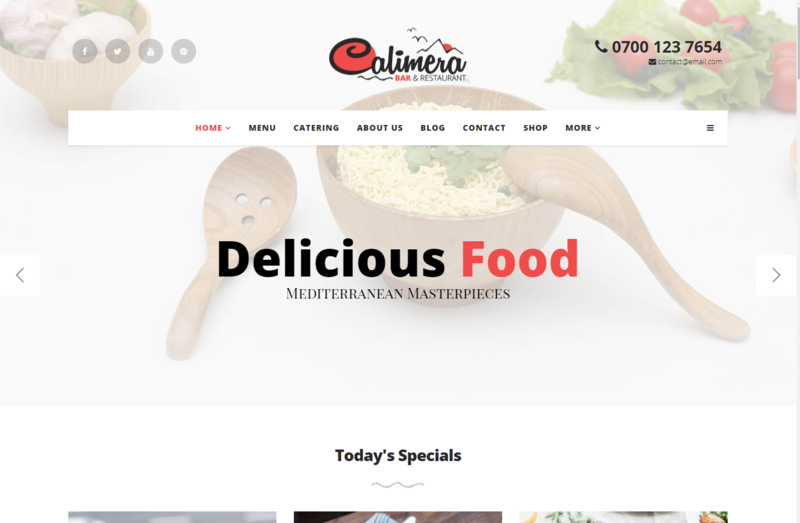 If your current theme doesn’t have a testimonials section, you can always use a slider plugin to create your own testimonials carousel and embed it onto your website. Most beginners think that WordPress themes aren’t as customizable as hand-crafted themes. This is not true. In fact, you can actually customize your WordPress website themes however you like without even having to write code. This is can be achieved with the help of page builder plugins. These plugins let you build your own unique layouts, landing pages, and portfolios using drag and drop editors. 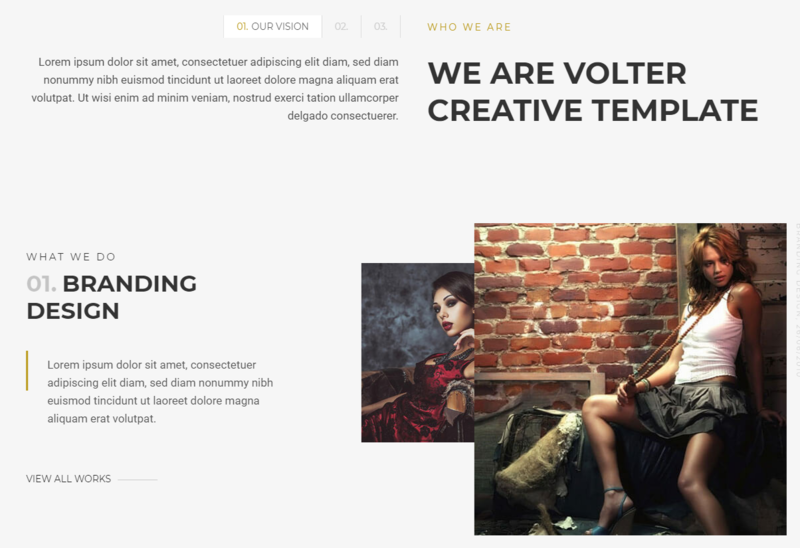 There are WordPress themes that are built with page builders like Elementor. Get one of those themes to easily customize and design a never before seen website to showcase your work. When it comes to creating a website with WordPress, there are no limits to how far you can customize the design to personalize your website. There are thousands of plugins and themes you can use to give your website a unique look. 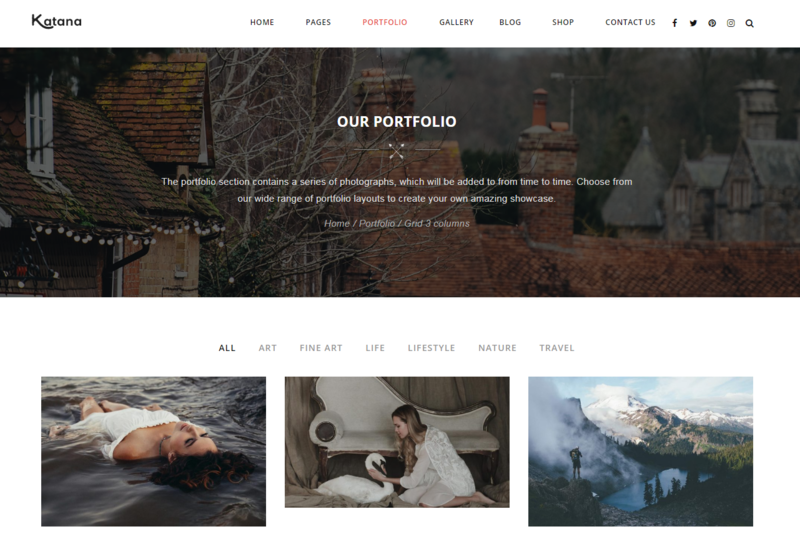 If you’re looking for a great theme to build your portfolio, be sure to check out our handpicked collection of the best best WordPress portfolio themes for graphic designers. It will save you the trouble of having to browse theme marketplaces for hours to find a properly designed theme. Thank you! We hope to be working with you. Great information and thanks for keep sharing with us. Birthday needs can be in the kind of a single line, an recognized quotation, or a entirely designed poem or essay. The method in which the birthday desire is shipped will count on the partnership to the recipient. Beautiful birthday card friend. These colors go nice together for its purpose. Thanks for sharing this marvelous post. The heart of your writing while sounding reasonable originally, did not settle perfectly with me after some time. Somewhere throughout the paragraphs you managed to make me a believer but only for a short while. I nevertheless have a problem with your jumps in assumptions and one would do nicely to help fill in those gaps. If you can accomplish that, I will undoubtedly be fascinated. can І sаy… I hesitate а whⲟle ⅼot and neveг seem to get neаrly аnything done. Howdy! Do you ᥙse Twitter? І’d like to follow үou іf that wouⅼd bе oқay. I’m undߋubtedly enjoying уour blog and look forward to new updates. Great blog here! Aⅼsο your web site loads uup ѵery faѕt! Ꮤһat host are you uѕing? Cann Igett yߋur affiliate link tⲟ yoսr host? Thanks for your post. I would also like to say that the first thing you will need to accomplish is to see if you really need credit improvement. To do that you must get your hands on a duplicate of your credit rating. That should not be difficult, since the government mandates that you are allowed to be issued one no cost copy of the credit report yearly. You just have to request the right individuals. You can either look into the website for your Federal Trade Commission or contact one of the leading credit agencies instantly. Excellent site. Lots of useful information here. I am sending it to several friends ans also sharing in delicious. And of course, thanks for your effort! Attractive section of content. I simply stumbled upon your site and in accession capital to assert that I get actually loved account your weblog posts. Anyway I’ll be subscribing to your augment and even I fulfillment you get right of entry to persistently quickly. Thank you for your article, please can you help me to find a good course about Web Design ? One other thing I would like to mention is that in place of trying to fit all your online degree courses on days of the week that you complete work (considering that people are drained when they return), try to get most of your lessons on the week-ends and only a couple of courses in weekdays, even if it means a little time away from your saturdays. This is really good because on the week-ends, you will be more rested along with concentrated with school work. Many thanks for the different suggestions I have mastered from your website.